ARTESIA'S CROWN JEWEL ON THE WATERGÇÖS EDGE. 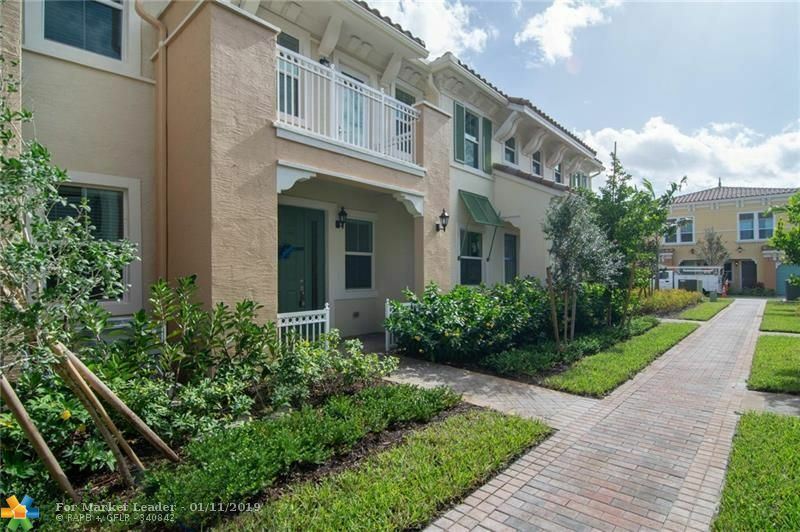 This immaculate 4BD/3BA townhome balances proportion & exceptional style to capture the essence of sunny FL living. Its idyllic setting is carefully sited to afford sparkling lake views from all living areas & an expansive landscaped area gives the sense of a classic backyard. The fluid interior & outdoor areas celebrate light & space. 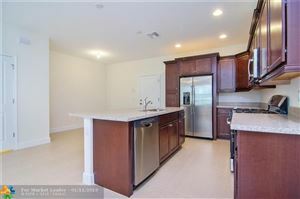 The kitchen exhibits wood cabinets, granite tops & SS appliances. 20GÇ¥ porcelain tiles unify the social areas. Brilliant hardwood upstairs. Poured concrete on 2nd floor for added strength & efficiency. Relax & unwind in the spacious master. $80k in upgrades! IMPACT WINDOWS, 1st floor bed/bath, 2-car garage. Enjoy superb amenities including tranquil pools, sports courts & fitness center. 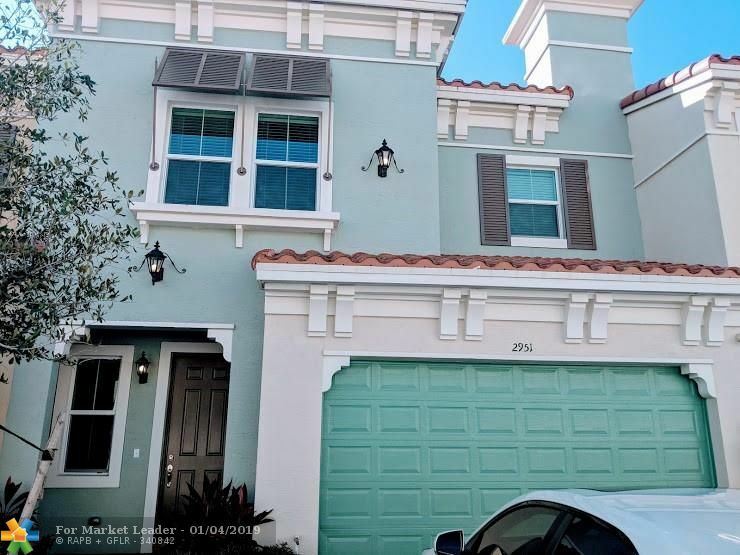 Walk to Sawgrass Mills & BB&T! The first thing you will notice is the amazing view of this house, followed by the feeling of openness of the floor plan. With almost 3,000 sqft of living area, this model called "Grande" is the biggest in Artesia. No other floor plan competes with it: an open kitchen concept, lake view, open balcony and two spacious walking closets in the master bedroom, also a bathroom for each bedroom plus an additional guests bathroom adds more privacy. The property is really kept in mint condition!!! Enjoy the beautiful resort style community with world-class amenities, sports lounge, fitness center, spa, and many more activities and classes. Across the street from Sawgrass Mall you will have access to entertainment, shopping, and dining. 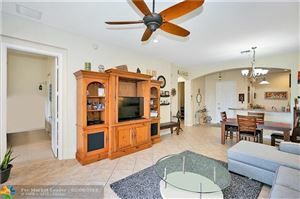 ARTESIA TOWNHOME WITH MASTER ON FIRST FLOOR LOCATED IN THE HEART OF THE COMMUNITY! 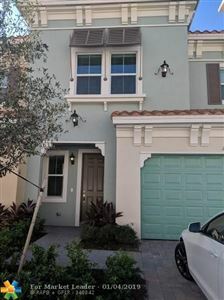 Pristine 3 brm/2.5 bath town home features second HUGE family room/playroom upstairs w/ 2 bedrooms. Kitchen features chef's island, gas stove, large dining area, Stainless appliances, tons of cabinetry! Loads of closet space and walk in laundry room! Enjoy romantic bbq in your private patio! Hurricane high impact glass, 2 car garage, 8 ft doors, large front patio for entertaining! Resort amenities w/ 3 pools, tennis, fitness,indoor multi-sport court, billiard room, tot lot w/ interactive water feature and MORE! 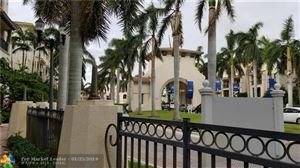 Gated community off the Sawgrass Expressway & I-595. Walk to Sawgrass Mall and BB&T Center! You will feel as if you are living at a resort! Spectacular is the only way to describe this Botanica Model Townhome/Condo in the highly amenitized Artesia. Enjoy the all-inclusive WORLD-CLASS ARTESIA CLUB with 3 Pools, Fitness Center, Spa, Sauna, Billiards, Tennis, Indoor Basketball and more. STUNNING PALATIAL MEDITERRANEAN ARCHITECTURE. Over 1,700 Sq.Ft. of living space, 2beds, 2.5baths, with loft, chef inspired kitchen with HIGH-END KRIEGER CABINETRY, GRANITE COUNTERTOPS AND SS APPLIANCES. Designer Wood Floors and Tile throughout. A contemporary blend of the urban, suburban and resort lifestyle. Relax. Renew. Rejuvenate - Your suburban oasis awaits you! Investors Welcome. Ok to lease 1st year of ownership. BEAUTIFUL MEDITERRANEAN DESIGNED COMPLEX- ARTESIA. 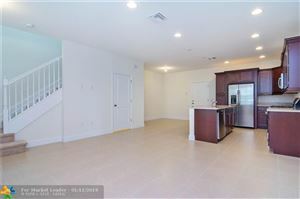 COMPLETELY REMODELED 2 BEDROOMS/ 2 BATHROOMS UNIT WITH TILE AND LAMINATE FLOORING. STAINLESS STEEL APPLIANCES. WASHER AND DRYER INSIDE UNIT. HUGE BALCONY SPACE WITH TILE FLOORING.EXCEPTIONAL RECREATIONAL AREA.3 SWIMMING POOLS, GYM, SPA AND COVERED BASKETBALL COURT. RESORT LIFESTYLE HUGE CONFERENCE ROOM, TEA ROOM AND EVENTS ROOM WITH KITCHEN SPACE. CLOSE TO SAWGRASS MALL, BB&T CONVENTION CENTER AND MAJOR HIGHWAYS.ASSOCIATION FEES INCLUDE CABLE,WATER,CLUBHOUSE SERVICES. RELAXED LUXURY PERCHED ON THE TOP FLOOR, THIS SUPERB 2BD/2BA ONE-LEVEL PENTHOUSE takes its cues from the laid-back attitude of easy Florida living. The balcony is ideal for intimate gatherings and to relish unobstructed views of FLGÇÖs stunning tropical horizon. The gallery-like entry & soaring ceilings immediately captures attention. A combined open-plan kitchen & family room is at the homeGÇÖs heart, outfitted w/many upgrades. The master suite provides a spa-like rejuvenation w/large windows, separate shower, deep-Roman tub & dual sinks. Enjoy the gas range, granite tops, tile floors & IMPACT WINDOWS/DOORS. Condo fee incl: WATER, GAS, CABLE TV, SEWER, TRASH, ROOF & MORE! ArtesiaGÇÖs sophisticated array of resort-style amenities create a true "staycation" vibe. 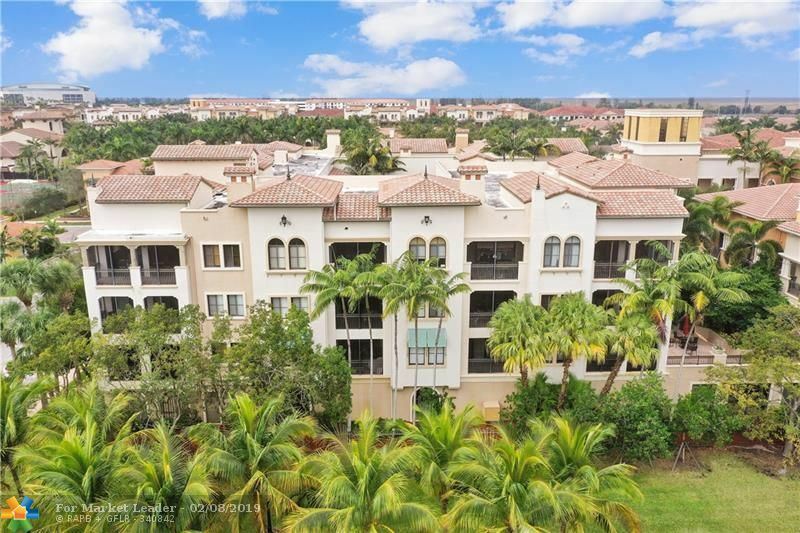 Walk to Sawgrass Mills & BB&T! 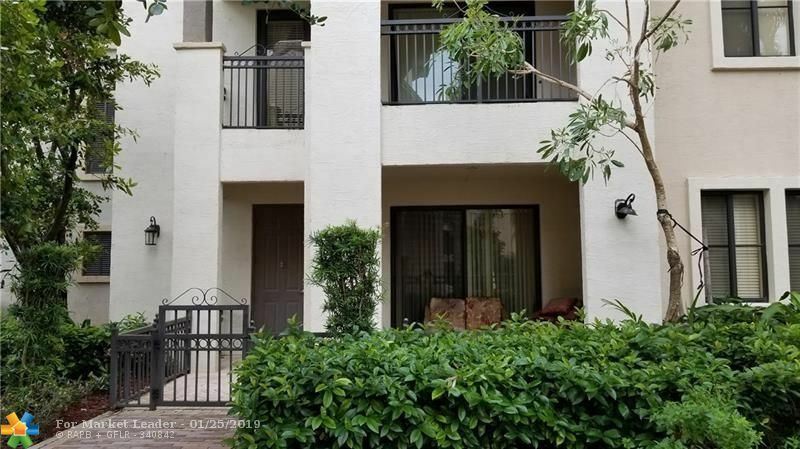 Beautiful condo in desirable Artesia Community. 2 Beds/2 Baths split floor plan. Remodeled kitchen w/ granite counter tops, S/S Appliances & wood cabinets, gas stove, dryer & water heater(super low FPL bill). Carpet & tile social areas. High ceilings 10 ft, spacious & bright, light fixtures. Nice size screened balcony, private front porch entrance, covered parking spaces. Artesia offers unparalleled resort-style living, 3 pools, Spa, tennis courts, Gym, Cabanas, Indoor Basketball court, Business center, Playground & more. 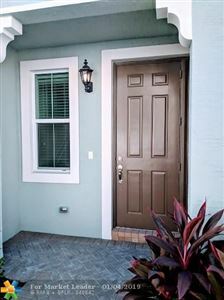 Close to everything, easy access to Expwy, next to Sawgrass mall, BB&T, restaurants & much more. Here at Artesia every day is a vacation day!! ** Brand New Construction at Artesia! Be the first to live in the beautiful 2 story, 3 bdrm, 2.5 bath, 2 car garage townhouse! Gourmet kitchen, elegant master suite The Villa Artesia, offers unparalleled resort-style living. The Community features a revitalizing spa, lap and lagoon pool, state of the art fitness center, billiard sports lounge, basketball court, conference room, party room, tennis courts and a Tiki Bar. BRAND NEW TOWNHOUSE IN ARTESIA. NICELY UPGRADED WITH WOOD CABINETS, GRANITE TOPS, STAINLESS STEEL APPLIANCES, RECESSED LIGHTING, TILE FLOORS & MORE! OPEN FLOOR PLAN WITH ALL BEDROOMS UPSTAIRS, WALKING CLOSETS, 2 CAR GARAGE. ENJOY ARTESIA'S CLUBHOUSE AND AMENITIES. Month-to-Month (min, 6 months), or Annual: Resort Living at its best. Beautifully updated home, spacious floor plan, enjoy indoor and outdoor living. Large Porch/Balcony on both floors. 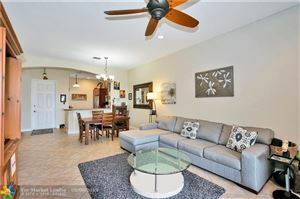 Beautiful two level town-home in lucrative Sawgrass area. Close to club house with state of the art amenities for your enjoyment. Walking distance to world class shopping at Sawgrass Mills Malls. Loads of dining shopping and entertainment. 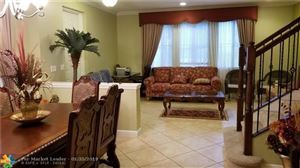 Close proximity to highways, beaches and centrally located between Palm Beaches and Miami. Rent furnished or unfurnished. Landlord eager to rent.